Have you ever walked out of the restroom in a public place with toilet paper clinging victoriously to your shoe? I have done that walk of shame, more than once. When someone else either discreetly nodded toward your foot to help you or you notice it when you look down is the exact feeling I get at the onset of every new social engagement. Confident everyone in the place is staring at me. But I’m an extrovert. I’m supposed to cherish EVERY social situation, right? Nope, not the case. Once I’m settled in and realize it’s a safe place, I’m fine, but those first five to ten minutes are excruciating. I’ve done a great deal of healing in the realm of anxiety, but it hasn’t miraculously left my life. I’ve just learned how to continue living my life with it as an occupant. Where a new social situation would have me popping Xanax (just keeping it real here), now, I’m able to pray and breathe through the situation. The Bible tells us not to fear anything or anyone other than God. It’s obviously an issue many of us struggle with. But why do we struggle? If you think I have the answers the rest of this blog, I’ll lovingly let you down easier right here–I don’t. I postulate on the topic: are we arrogant? Possibly. 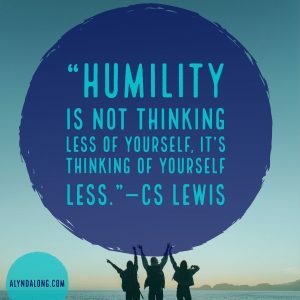 Are we self-focused? In my case, often. If I’ve had any aha moments on this topic, it’s this: if I bottle up that fearful energy and redirect it outward, toward someone ELSE who seems to be nervous, I am not so scared. If I offer a smile to another person or hold a door or start a conversation, I am often easing their fear and discomfort. And guess what happens to my fear? It goes way down too! Considering someone ELSE makes me think of myself less. 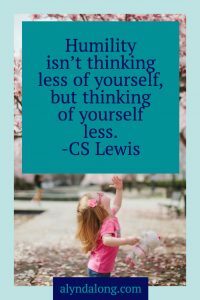 How can we think of ourselves less today and think of someone else more? Yvonne, thank you so much for your comment and thoughts. You are absolutely correct. Loving others well is the key. I have often joked about my anxiety because I am what many would call an extreme extrovert, but it is very real. The Lord has given me tools to work with/through much of the struggle, but I had to use those tools just yesterday. Blessings to you! Very enlightening. 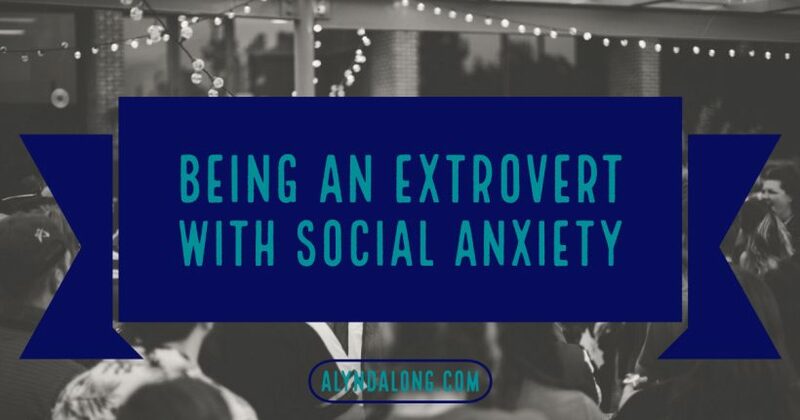 I had the misconception extroverts didn’t experience such social anxiety. I do love your sweet exuberant spirit in social settings though! Lori, thanks so much much for commenting and your sweet words. Yes, I don’t think many introverts realize we extroverts can still feel anxiety. I wrote this after dealing with it yesterday morning when I arrived at the conference. My chest tightened as soon as I pulled into the parking lot. I had to pray before getting out of the car because my palms were sweating. It used to last for the entire time, but now I can usually shake it within the first ten minutes. Yes, even extroverts can have anxiety. I am an extrovert and definitely have my share of anxious times. Thanks for sharing this topic. Thanks so much for reading and commenting, Melissa! I knew I couldn’t be the only one. Blessings to you! Appreciate your transparency. Anxiety is a silent killer that stalks our heart. Needed this post. Mari Jan, thank you so much for commenting! It really is such an enemy of peace, isn’t it? Praying my words blessed you in some small way. Thank you for sharing. It can be exhausting to be the extrovert person because we’re expected to cherish everyone as you say. So many people struggle with anxiety today. Praying is a powerful weapon, which we can use in any situation, right? I loved your question at the end: How can we think of ourselves less today and think of someone else more? That’s the key to a happy life, I guess. Thank you so much for reading and commenting. It really can be exhausting. You are so right. Yes, the most powerful tool in my arsenal is prayer. I’m praying blessings for you today! I can so relate to this. Only I’m an introvert with social anxiety. Once we get past the labels, we are in the same place. Thanks for being honest and sharing your struggle. You are so right! I love how you put it, “once we get past the labels”! So true! I’ve experienced so much healing in this area and think it’s important to be authentic with our struggles. Blessings to you! Hey Alynda, I love your perspective! By thinking of the needs of others, everyone benefits. Thanks, sister! Alynda, thank you for sharing this. I get what you are saying. I can often get that same anxiety in new situations, but after a few minutes, I’m okay. I like how you directed our attention to thinking of others instead of ourselves. This practice not only works, it’s healing to those who suffer from anxiety. Great post! Thanks for reading and commenting. I’m finding the more I place my thoughts and energy onto others, the less I focus on my anxieties. Blessings to you! I have always loved that quote. And yes, I always think social anxiety can be remedied when we walk confidently secure in Christ. Thanks so much for reading and commenting! I agree. When we remind ourselves our identities lie in Christ and not other people or circumstances, we can move past our fears and anxieties! Blessings to you! That is the challenge of the day. We must teach the Golden Rule to the young and help them to consider the other person. There is a balance here. I met someone who’d spent her life only looking out for the other. But some people have no balance at all the other way. Consideration and balance. Great post. God bless! Great post. It truly is amazing how many people suffer with anxiety. Love CS Lewis as well. Double thumbs up!!! What a great point that we should consider others in this context. Love the wisdom you share! Thank you so much for your kind words of encouragement, Emily! Blessings to you!